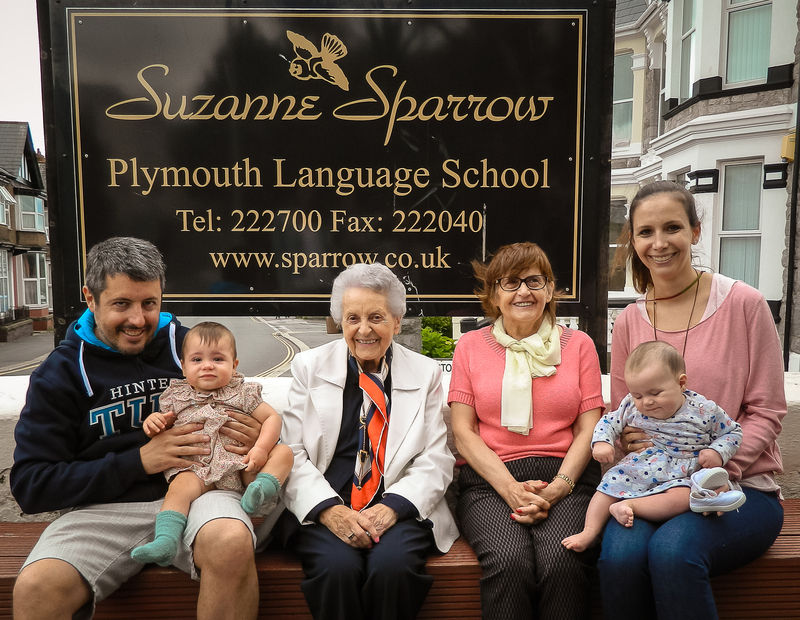 When Lorenzo Gonzalez visited Plymouth, looking for a school to work with his company Club Amistad and Educare Idiomas, he was introduced to Mrs Sparrow. They immediately realised that they were both fluent, but sadly in their own respective languages. Mrs Sparrow called upon the assistance of one of her language teachers, Amelia Rainbird, who kindly translated for Mrs Sparrow and Lorenzo. They had a productive meeting of minds and that same year Suzanne Sparrow Plymouth Language School received its first students from Educare, the educational company in Spain which was run by Lorenzo. That was 1979 (see picture below) and Suzanne Sparrow Language School have been receiving students from Educare ever since. Lorenzo’s son José Maria has now taken over the running of Educare Idiomas. Mrs Sparrow first met José when he was 2 years old, when she visited the Gonzalez family in Madrid. Mrs Sparrow and José Maria’s mum Carmen became instant friends. It was wonderful to see Carmen, José Maria and José Maria’s sister Maria at the school recently, along with the next generation!